For some, the MLB draft is the busiest and most exciting time of the year. We aren't prospect experts here at The Voice of the Turtle, but we know some! After chatting with West Michigan Whitecaps announcer Dan Hasty and Emily Waldon of 2080 Baseball about the Tigers farm system earlier this week, we're back with another fan favorite in Part 2 of our Draftapalooza preview series! In our second episode of the week, Brian Sakowski of Perfect Game USA joins us to talk about the MLB draft, which starts on Monday, June 12. Brian helps profile a number of different draft prospects, including who the Tigers are interested in, as well as some of the top prospects in this year's class. Will the Tigers take another college arm? Have they actually changed their draft strategy? Will they shoot for a high upside prospect? Brian, Rob, and HookSlide try to make sense of this year's draft, and where the dominoes will fall on Monday. That's not all, though! 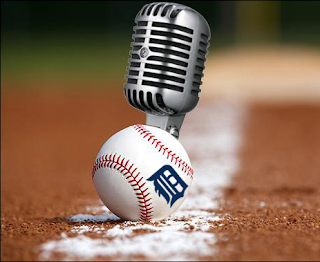 Brian helps break down the 20-80 prospect scale and how it is used by scouts, Rob gets HookSlide drunk (again), and the crew discusses a few current Tigers prospects towards the end of the show. It's another jam-packed episode, and a great preview for next week's draft! - Is Nick Castellanos a plus hitter? - Who will the Tigers take in this year's draft?